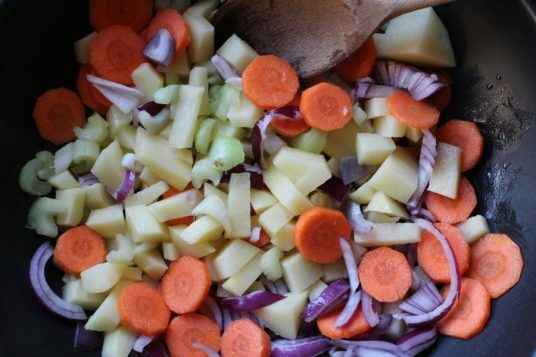 Making soup is probably my favourite way to reduce food waste. It’s so effective. 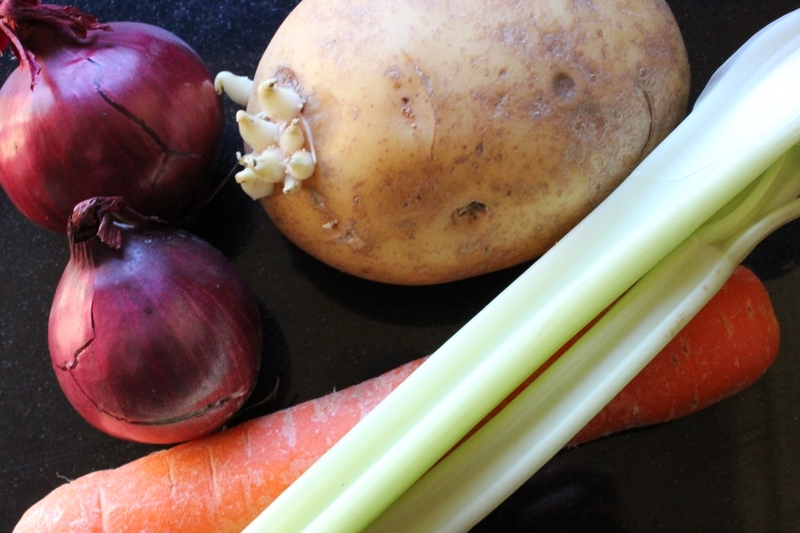 And this simple vegetable soup recipe is the perfect way to use up sorry looking vegetables. The onions are in pretty good shape, but everything else is starting to look a little tired. In particular the limp celery and the sprouting potatoes. I’m a huge fan of my Nail Soup – but appreciate that some home cooks like a little more guidance in the kitchen as to what ingredients to include in a soup recipe. 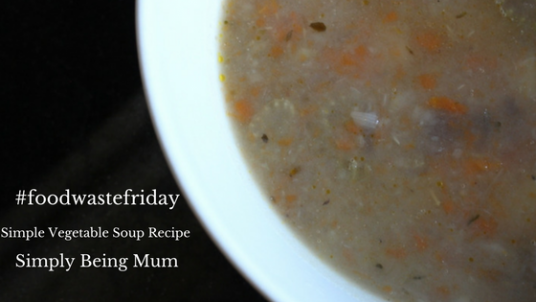 When first-born made vegetable soup in food technology at school (and also as a starter on Christmas day) I knew that this really easy soup recipe would be ideal to post here at the blog as part of #foodwastefriday. I’ve used 2 small red onions as I had them to use up but ideally it would be a medium to large white onion. 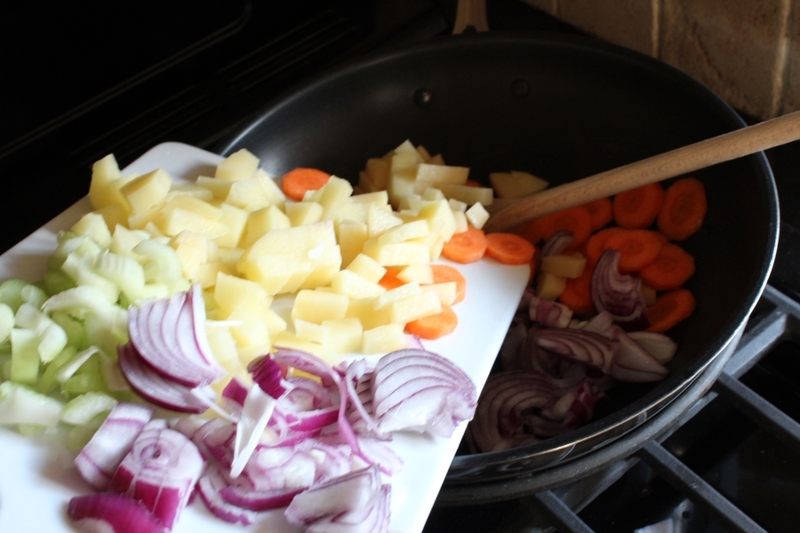 Pan fry in a knob of butter or some vegetable oil if you do not keep butter in – either will do. Add a generous shake of dried mixed herbs. I use Aldi’s dried herbs – they are as good as the leading brand in my opinion – they haven’t told me to say that! 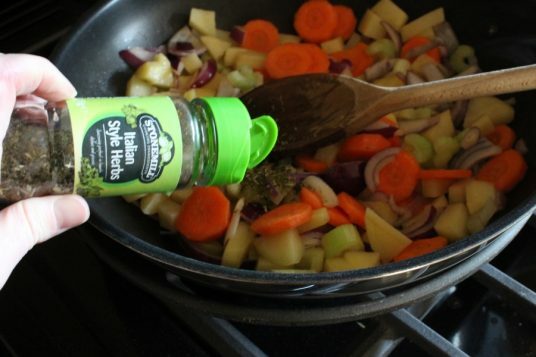 You can use a stock cube, I had to as did not realise I was out of my homemade stock. Bring to the boil then reduce the heat to a slow simmer and cover, just leaving a small gap to let some of the steam out. 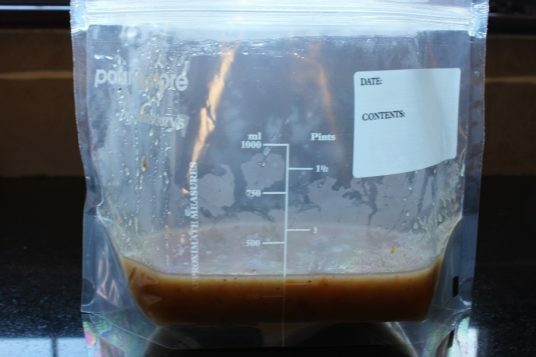 If you do not cover it will have a stronger flavour as the liquid will reduce, but you’ll end up with less soup at the end. Simmer for about 30 mins then leave to cool slightly. 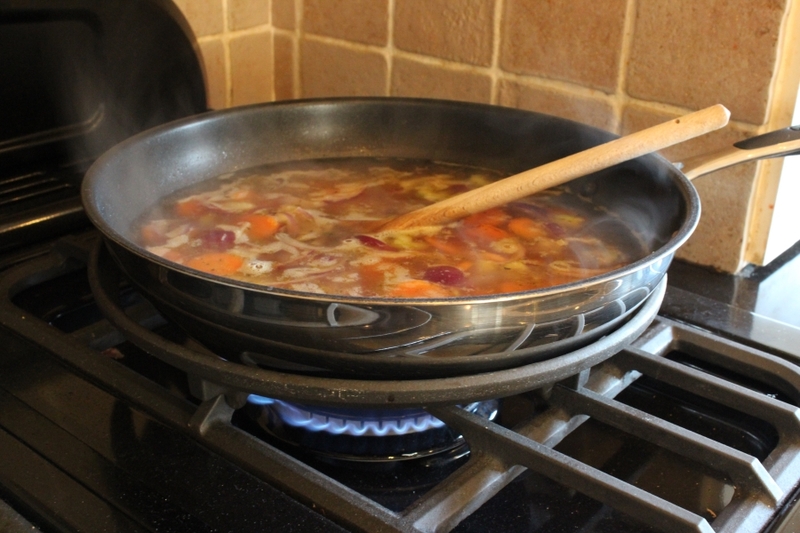 The soup can be served as a broth with chunky vegetables, partially blended or smooth – depending on taste. 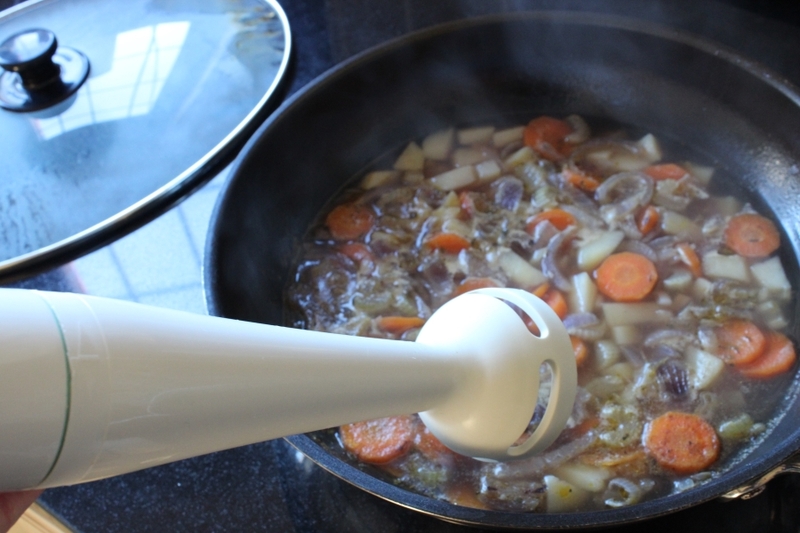 We like ours partially blended, so it’s a thicker soup but there are still vegetables to much on within it. 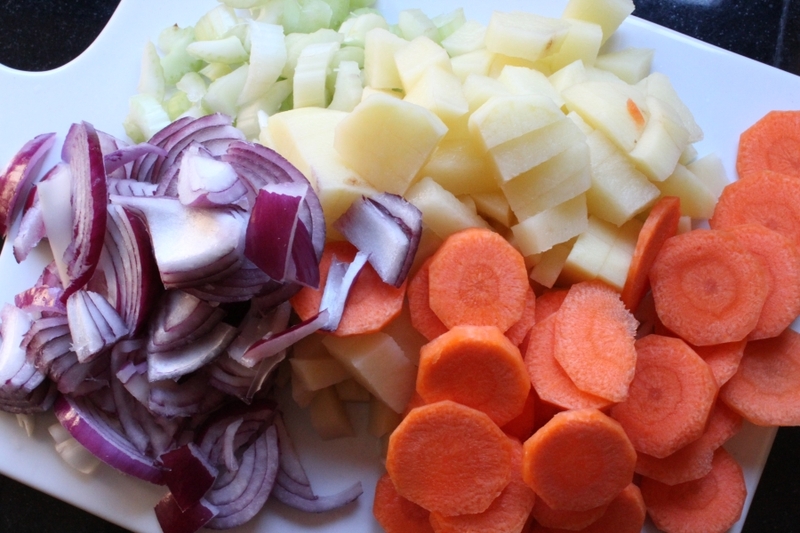 Super simple, nutritious and economical – with a total price for 4 servings coming in under a £1 easily. It’s the perfect weather for soup! Thanks for the reminder. you seriously make the best looking soups!! I am freezing right now with a thick blanket wrapped around me. . I need this soup!!! ? Next post: Do You Know How To Hygge?